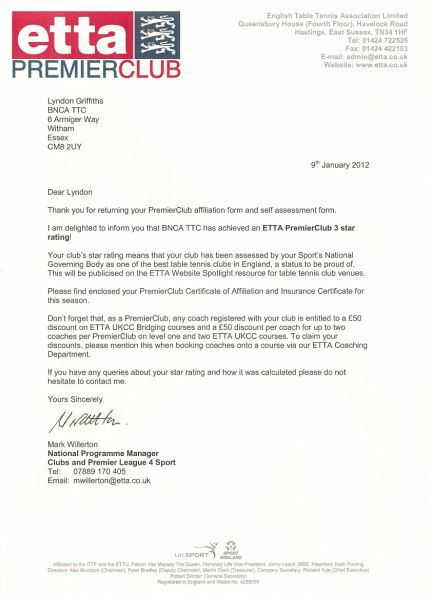 BNCA TTC has continued to hold a 3 star PremierClub rating from Table Tennis England in addition to the Clubmark accreditation. 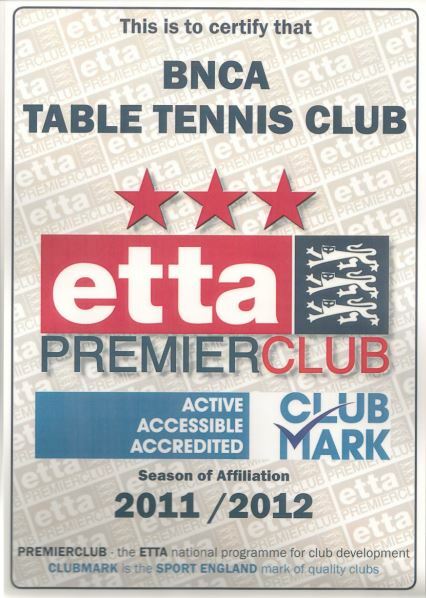 The club has had its rating renewed by Table Tennis England following a recent assessment. In addition to the Clubmark accreditation, this demonstrates that the club is properly run and provides a high quality and welcoming environment for young participants.